System Information (also known as msinfo32.exe) shows details about your computer's hardware configuration, computer components, and software, including drivers. You could see your system information from this page, Save this file and submit this file to MSI Tech Support. 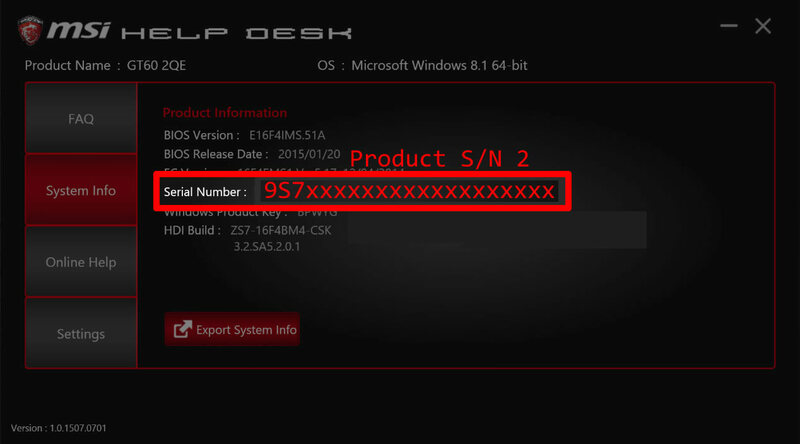 Please run MSI Help Desk software and click System Info at the left hand column. The software will list your system information at the right hand column including serial number.